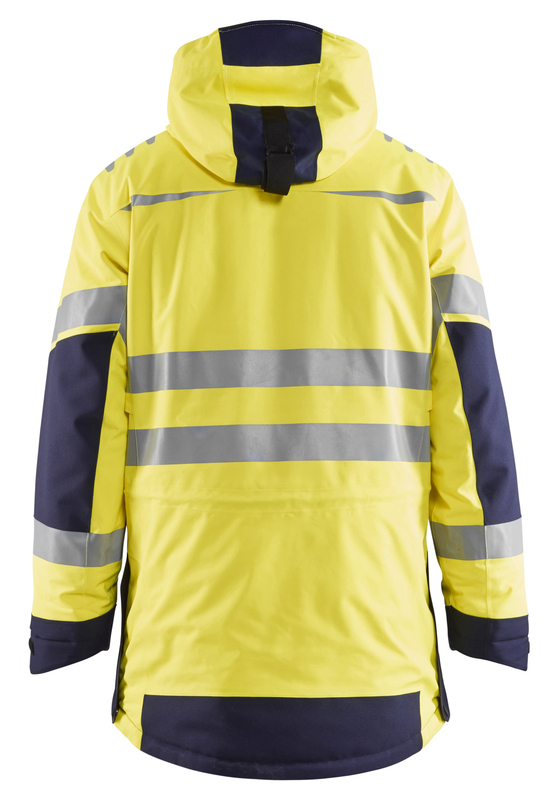 Thermal-lined high vis winter parka made of high-quality windproof and waterproof fabric with excellent breathability. The jacket has a warm, lightweight lining made from recycled PET bottles. To ensure superior fit and comfort, the jacket has pre-bent sleeves, under-sleeve ventilation and a two-way zipper. 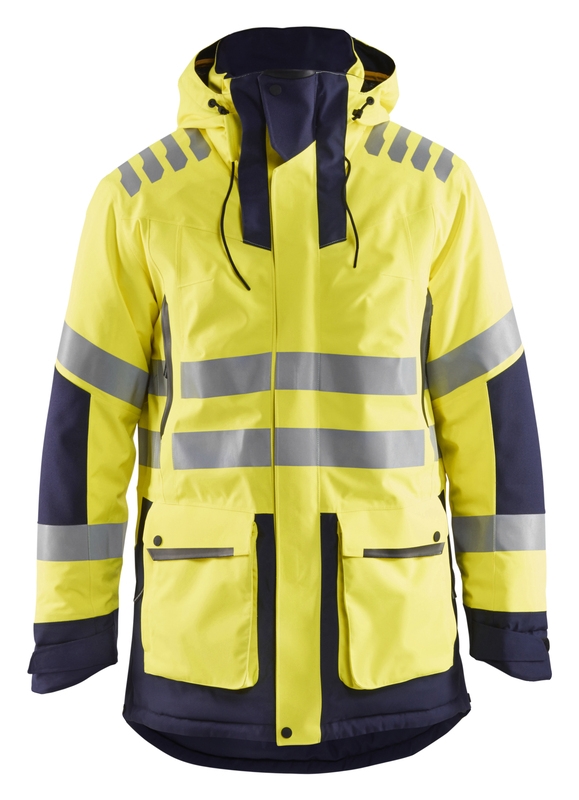 It features numerous technical features including taped seams, a storm flap, wind protection around the back of the neck, cuffs with thumb holes, an adjustable and removable hood, reinforced print, reflector trim and bellow-type, fleece-lined pockets with snow flaps. In other words, it has everything. Breathability rating of 20,000 g/m²/24h and waterproof rating of 20,000 mm. Certified according to EN ISO 20471 Class 3, EN 342 when combined with art. no. 1885, EN 343 Class 3,1. High quality, wind and waterproof material with very good breathability. The material is flexible but still strong. The material is Oeko-Tex® 100 certified.